On the Friday before Thanksgiving, I spent a celebratory evening with several dozen parishioners in the Parish Hall with our consultants from Ministry Architects. This was our “Vision Summit,” the part of our ongoing children’s & youth ministries renovation designed to help us articulate long-term aspirational goals for the ministry we’re working to build. Just noticing who was in the room was worth the price of admission. Even the consultants commented on how extraordinary it was to have so many committed non-parents involved in our Children’s & Youth Ministries. In addition to many parents of children and teenagers, the group included Vestry members, undergraduates, childless single and married people, grandparents, and parents of grown children. St. Paul’s Memorial Church children’s and youth ministries exist to equip young people to explore and embrace Christian faith, identity, and community. • Welcome: We are inclusive and nonjudgmental. • Curiosity: We are open to the wonders of God’s world and God’s people. • Service: We seek to be instruments of God’s work in the world. • Joyful Fellowship: We celebrate friendship and community. In this Advent season of watching prayerfully to see what unexpected wonders God will work next, I can’t wait to see what God will do in 2019 with all the faithful commitment that the St. Paul’s community has poured into our children’s & youth ministries. No adult forum, Sunday school, or youth group today. The organ music for this Sunday features two important Lutheran hymns for Advent – Wachet auf, ruft uns die Stimme and Nun komm, der Heiden Heiland. We’ll also sing Wachet auf (#61 in the hymnal) at communion during the 10 a. m. service. The organ arrangement of this chorale melody by Bach is one of his most popular works – it is actually a transcription of a movement from his Cantata No. 140. The Cantata’s tenor line is replaced by the organist’s left hand, which heralds the watchman’s call on a trumpet stop. The second prelude for Lessons & Carols (5:30 p. m.) is Bach’s setting of Nun komm, der Heiden Heiland (#54 in the hymnal). In this piece, the chorale melody is presented in the soprano voice, embellished and ornamented in a highly expressive manner. A walking bass and two beautifully intertwined inner voices under-gird the florid melodic line. We will encounter this melody several more times during the season of Advent. Schoolhouse Thrift Shop Toy Sale – The Schoolhouse Thrift Shop (1147 Rio Road East), a joint ministry of local Episcopal churches, is holding its 27th annual St. Nicholas Toy Sale this Saturday, December 1, from 9 a.m.- 4 p.m. Call St. Paul's parishioner and Thrift Shop manager Leah Wise at 434-973-2271 if you have any questions. Prayer Shawl Ministry – The Prayer Shawl Ministry will meet on Saturday, December 1, from 10 a.m. - noon in the lounge. Members of this group knit shawls with prayerful intention for anyone needing comfort and healing. The shawls are available to anyone to take or mail to a loved one. Knitters of all ages and ability are welcome. If Saturday mornings are not an option for you, please consider knitting a shawl at home. Patterns can be provided. This is a drop in meeting; come and stay as long as your Saturday morning allows. Members of the group would be happy to teach you to knit and a supply of yarn and needles is always available. Generation Wise – Generation Wise, a St. Paul's group which builds community among our older members, will meet Tuesday, December 4, from 2 - 3:30 p.m. in the church lounge. The group will complete conversations based upon Marcus Borg’s book Days of Awe and Wonder. Participants are urged to read Chapters 14 through 16, plus the Afterword. Newcomers are welcome. The Rev. Mark Wastler will be participating with the group on the 4th. If more information is desired, contact Jean or Bill Sherman, sherman@nantucket.net or 434-975-1605. Wednesday Afternoon Contemplative Prayer in Advent – The Wednesday Contemplative Prayer Group will being using short videos from the Center for Action and Contemplation to guide their prayers during the season of Advent. Please join in for 45 minute session of quiet contemplation and reflection in the midst of busyness of the holiday season. No experience, preparation, or previous attendance needed. Wednesday December 4, 11, and 18 at 4:30 p.m. in Room 3A of the Church School wing. Questions? Marianne Story Yencken mstory@jps.net or Leslie Middleton middletonleslie@gmail.com. IMPACT Update on Affordable Housing – IMPACT has had recent success in getting Albemarle County to commit to working on guidelines that will enable the County's housing fund to work for low income homes, to creating an advisory body for affordable housing, and to making a plan to build 150 accessible units for seniors that make less than $35,000. Now, IMPACT is researching what additional steps can be taken to bring more affordable housing to Charlottesville and Albemarle County. IMPACT’s mission is to empower the faith community of greater Charlottesville to create significant social change through unified direct action. For questions about how you can become involved with St. Paul's work with IMPACT, contact John Frazee: john.g.frazee@gmail.com or 434-242-0103. Responding to California's Wildfires – Episcopal Relief and Development (ERD) is working to provide critical support to the most vulnerable communities affected by the Camp Fire in California. Donate by check to St. Paul’s (with “Disaster Relief” in the memo) or online at Episcopal Relief & Development. Vestry Recommendations – In preparation for St. Paul's Annual Meeting and Vestry Election on January 27, the Vestry Nominating Committee invites your prayers and input. Four parishioners will be elected to the Vestry for three-year terms (ending in January 2022). Your recommendations about whom you'd like to see on the Vestry are most welcome. Parishioners whose names are submitted will be considered by the Nominating Committee, whose aim is to offer the parish a slate of candidates – one for each open seat – with an effective mix of skills and interests, and representing the diversity of the parish. Vestry members must be confirmed communicants in good standing, meaning that they "pray, work, and give" through the ministries of St. Paul's, and should be regular participants in our worship. Nominees commit to monthly Vestry meetings, including attendant preparation and assignments, an overnight out-of-town retreat on February 8-9, and visible participation in parish events and ministries. Parishioners may wish to speak with those they recommend for Vestry service, but need not do so in order to submit a name. Members of the Nominating Committee will talk with prospective nominees about their interest and willingness to serve. Members of the Nominating Committee are Peter Dennison, Phil LaMar, David Litherland, E. D. Rambo, Christie Thomas, and Erika Viccellio. Recommendations may be made through Sunday, December 2 by emailing vestryrecommendations@spmcuva.org, or calling the church office at 434-295-2156. Recommendations will remain confidential within the Nominating Committee. Thank you for helping St. Paul's identify gifts for leadership in our community! Advent Festival of Lessons & Carols – This Sunday, December 2, at 5:30 p.m. the St. Paul's adult and children’s choirs will combine for a classic candlelit service of Lessons and Carols to begin the Advent season. Readings, anthems, hymns, and prayers prepare the way for the joyful Christmas season. The choirs will offer music by Handel, Palestrina, Malcolm Archer, Charles Wood, Elizabeth Poston and others. Nursery care will be provided. A festive reception will follow the service. Advent Wreath-Making Event – Join parishioners of all ages in the parish hall this Sunday, December 2, following the 10 a.m. service for this family-friendly event that will prepare you to enter into Advent with your very own home wreath. Kit, instruction and assistance will be provided. 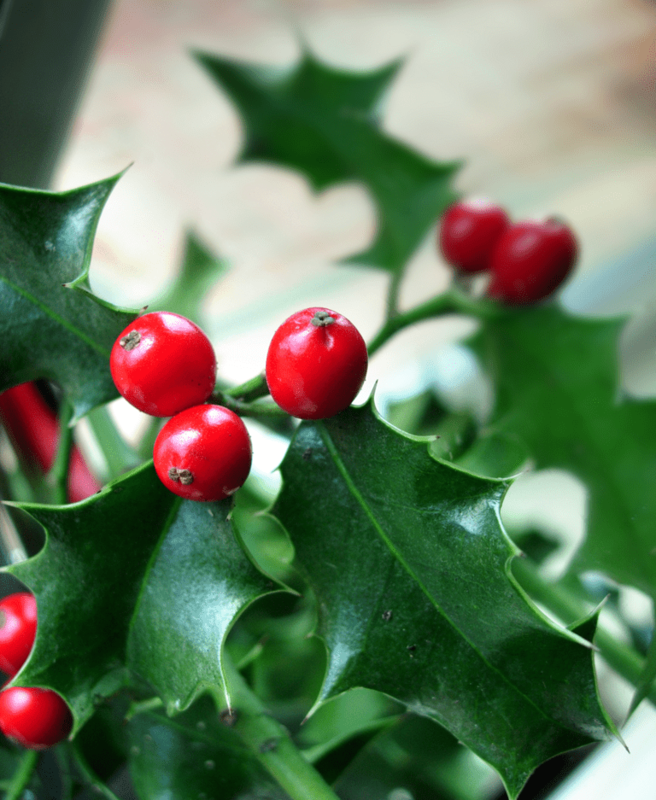 If you have any cut greenery to donate (boxwood, holly, greens with berries, etc. ), please bring it to the parish hall on Saturday, December 1, or to church with you on Sunday, December 2. St. Nicholas Celebration – Parishioners and friends of all ages are invited to a festive Celebration of St. Nicholas next Wednesday, December 5, following a brief informal prayer service at 5:30 p.m. Join us for worship, supper, and the story of St. Nick. In past years, when enough people are present, St. Nick himself has made an appearance. We will sing songs, share a meal, and be inspired by the story of St. Nick. We encourage all parishioners, friends, and neighbors - young and young at heart - to share in this special evening. Christmas Pageant – The St. Paul's Christmas Pageant is scheduled for Christmas Eve, Monday, December 24, during the 4 p.m. service. A pageant rehearsal for all interested participants will be held on Sunday, December 16, following the 10 a.m. service (in lieu of Sunday School classes). For more details, email Eleanor Hoppe at eleanor_hoppe@mac.com. Angel Tree – St. Paul’s participates in the Salvation Army’s Angel Tree program as part of our local mission and service work. Look for the Angel Tree tags on the Christmas tree in the parish hall. Please return your unwrapped Angel Tree gifts by Sunday, December 9. Alternative Gift Giving – Searching for the perfect Christmas gift or two? Visit the African Development Project (ADP) table after the 10 a.m. service in the parish hall every Sunday until Christmas for some intentional shopping that benefits projects supported by ADP. Please consider a donation in honor of a special person or family in your life, and select a card to announce your gift. • An educator might like the gift of a year’s tuition for an orphan in Migori, Kenya. The school fee plus uniform is $120. • An environmentalist might like to support trees grown for reforestation around Migori or a drought-resistant banana variety for Ugandans living near Lake Victoria. • Who wouldn’t want a dairy goat that provides milk and income for a family? For $125, the gift of a goat keeps on giving long after Christmas is over. Any size donation is appreciated, and 100% of it will go directly to the project of your choice. A beautiful card will let your friend or family know the life-changing gift given in their honor. Jewelry and crafts from Kenya will be on sale as well. Please donate generously! 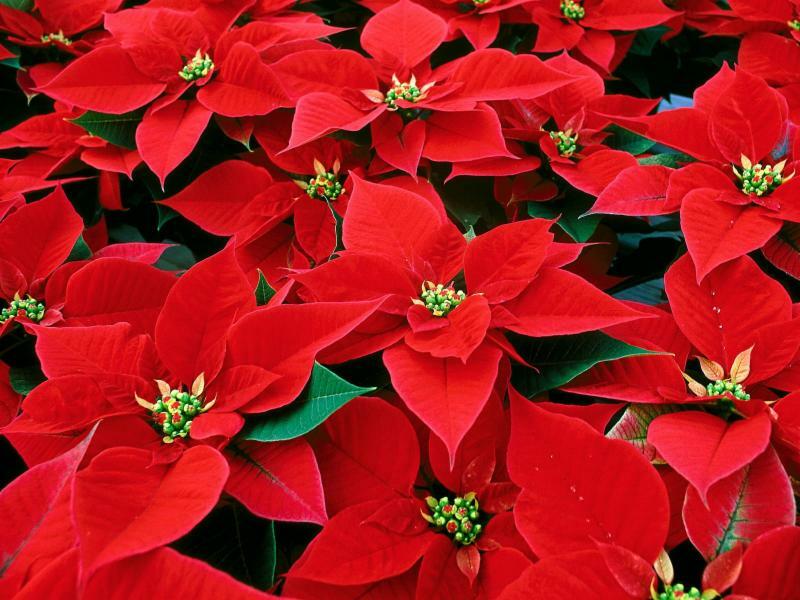 Christmas Poinsettias – St. Paul’s is blessed week in and week out by the ministry of our Flower Guild, a group of volunteer parishioners who enhance and honor our worship with beautiful floral arrangements throughout the year. The Flower Guild is funded by gifts and memorial contributions throughout the year, with a large portion of the budget coming at Christmas, when the church is adorned with dozens of poinsettias. Please consider supporting this ministry with a gift of any amount in thanksgiving for, or in memory of, one or more loved ones. The names of all who are remembered or honored will be printed in our Christmas Eve bulletins, and donations will contribute to the beautification of the church all year long. Please contact the church office no later than Monday, December 17 (alice.fitch@spmcuva.org or 434-295-2156) if you wish to make a memorial contribution to be recognized in the Christmas Eve bulletin. 11 p.m. – Christmas Eucharist with Parish Choir & String Quartet, with festive musical prelude beginning at 10:30 p.m.
To date, more than 150 individuals, couples, and families, have made financial commitments to St. Paul's for 2019, including many new pledges and dozens of substantial increases. Large and small gifts from parishioners and friends are a blessing to the whole congregation and to countless others who benefit from our ministries. If you haven't yet made a 2019 commitment, you may do so here, or mail or bring a pledge card to church anytime. Be part of a thriving 2019 at St. Paul's! for the hospitality of Anne Cressin, Leslie Middleton, John & Stacie Reid, William Taylor, and all who contributed to the St. Paul's Thanksgiving Eve potluck dinner. for the ministry of the Schoolhouse Thrift Shop, a shared ministry of Charlottesville-area Episcopal churches, and for St. Paul's participation through the leadership of manager Leah Wise and board members Sheila Haughey, Sarah Strasen, and Ed Tourangeau. 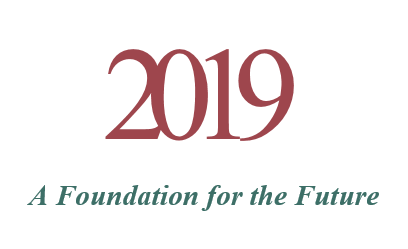 for the faith and generosity of all who support the life and ministries of St. Paul's, including the 151 households who have already made financial commitments for 2019.
for members and friends of the parish who are sick, sorrowful, or in any kind of trouble, including David Nelson, Anne, Evelyn, Robert & Dorothy, Anne, Mary Elizabeth Beck, Ruth, Guy & Mary Ann Miller, David, Lila M., the Barbour family, Ronald, Pierce, Doug, Libba, Finley & his family, Thomas, Jim, Matti, Bob, John, Tiffany Gordon, Jaimin Silman, John Ritchie, Debby Strzepek, Susan, Beverley & Bob, Lynda, Sharon, Joyce, Jason, Joy, Jane, Margaret Ann, Nancy, Richard, Tyson Kemp, Rachel, Harwood, Penelope, William, Adele, Renee. for St. Paul's this Advent season, that faithful watchfulness would lead us ever deeper into the incarnate life of God. for those who are grieving, for those who have lost homes, and for those who are missing as a result of the California wildfires. for San Marcos, Alexandria; St. James', Mt. Vernon; St. Mark's, Alexandria; and St. Paul's, Hanover, according to the Diocesan Cycle of Prayer. for the people and ministries of the Reformed Episcopal Church of Spain, and for their Bishop, the Rt. Rev. Carlos López-Lozano, according to the Anglican Cycle of Prayer. victims of violence and warfare throughout the world, including migrants and refugees who have died fleeing danger. all those who have died in the wildfires in California. all whom we love but see no more, including Herb Ackerman.